Cathy McNulty’s obsession with numbers has helped her create a niche mortgage company that is powering ahead thanks partly to the Small Business Mentoring Service. Cathy, who has always loved finances and budgeting, ran her own bookkeeping business and worked in an accounts office as a bookkeeper. She also worked as an office manager for a business in the building industry. After gaining a Diploma in Financial Services, Cathy became a broker in 2010. 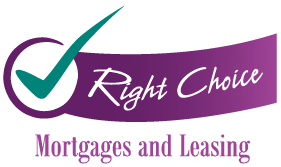 She ran a successful franchise before branching out on her own to start Right Choice Mortgages and Leasing in 2012. The business operates mostly in Gippsland and South East Gippsland. It has an office in Koo Wee Rup, a satellite office in Lang Lang and does home visits. “I saw how I could use my knowledge of finances and financials to assist people in achieving their goals of purchasing a home,” Cathy says. "I have always been obsessed with finances and budgeting, helping a lot of family and friends along the way. This industry plays to my skills, knowledge and passion. With so many types of loans now available, Cathy and her team ensure their commercial and residential clients have the right information to find the right loan to suit their needs. “I treat each deal as if it were me as the client,” Cathy says. “I guide my clients through the whole process, whether it be refinancing, purchasing a new home or buying land and constructing. Cathy also stays in touch with clients after they secure their finance to ensure that they are kept up to date and the loan suits their needs as their life changes. The business was going well and Cathy had one employee. But after joining the local Streetlife program run by the Koo Wee Rup Business and Enterprise Group, she decided a business mentor could help her better channel her energies. Funded by the State Government, Streetlife aims to revitalise local small businesses. Through it, Cathy was also matched with SBMS mentor Gilly Swinnerton. Gilly shares the insight she gained from a range of experiences in health care areas including hospitals, wholesaling, pharmaceuticals and Monash University in Parkville. She also spent 15 years as director of an architectural joinery business with her husband, managing the estimating, finance and marketing. Cathy had three sessions with Gilly over three months. Gilly says Cathy had a great business and fabulous service concept, but needed to bring others into the business to harvest its potential for growth in turnover, and harness her time management. “I helped Cathy sort her priorities and develop concrete plans in appropriate sized chunks so that she could find a way to work on them and go forward despite a very busy life,” Gilly says. Gilly says the mentoring improved Cathy’s understanding of how fulfilling her goals will improve her business and her enjoyment of it. “She has improved her management skills, increased staff numbers, increased sales, introduced new systems, improved HR and staff relations through clarity, via documentation and systems, greater awareness of priorities, succession planning, and importantly a happier, greater work/life balance,” Gilly says. Cathy says Gilly’s advice was invaluable and the benefits of her mentoring have been many. Since seeing Gilly, Cathy has employed a second staff member, opened a satellite office and improved client service. “Active listening to our clients’ needs helps us deliver a personal service that exceeds expectations, and long-term follow up helps provide word of mouth referrals,” Cathy says. Using SMART (Specific, Measurable, Attainable, Relevant and Timely) goals has helped Cathy to focus on priority projects, allowing distractions to be parked so she can manage her time better. Taking on another staff member also helped Cathy improve her business management and spend less time on the road. “It is hard to let go some of the field work, but I am confidant expanding the team will pay dividends long term,” she says.